Enjoy amazing ocean views and 5-star resort amenities! Spend 1/8 of the year in sunny Cabo at Villa La Estancia. This is an amazing 7th floor 2100 sq. ft, 2 Bdrm 3 Bath, Luxury Factional Villa. Beautifully furnished and decorated, ready for you to enjoy! Villa La Estancia is a beautiful resort and this villa overlooks the shimmering pools and 7 restaurants. The resort has a mini market, full concierge and caretaker service, tennis courts, swim up bar, full state of the art fitness center, complete with steam room, in-ground jacuzzi, lockers and attendants, and more amenities. This Villa is a 1/8th share fractional property. Owning fractional property in Cabo can make a lot of sense. Sometimes you only want a slice of beachfront paradise with no other hassles. Full ownership of this kind of villa can run in the order of $1m USD but you can have 6 weeks every year for $115,000 USD. Keep reading below and we’ll explain how owning this unit makes a lot of sense. The owner is motivated! Make an offer! View the Property Listing and Video Tour below! Rental Program – Great Returns! Upon request, Villa La Estancia can administer the rental of your fractional villa share for the occasions when you are not using it. The management fee incurred for this is 50% of the rental revenue with the owner receiving the other 50%. From the management fee share Villa La Estancia ensures all costs and taxes related to the rental of the unit are taken care of. This includes Mexican Hotel Tax, IVA Tax, Income Tax and additional cleaning costs. This 2 bedroom unit can rent for $800 to $1,000 per night in high season and $400 per night in off season. The 2nd Bedroom Lock-off can rent up to $400 per night in high season. Renting your unit when you are not using it can offset your HOA fees and can produce reasonable returns. Check out the following 3 scenarios for renting your unit. You can earn upwards of 5% return on investment. HOA Fees – Everything is taken care of! Reserve fund for maintenance and remodelling. Units are remodelled with new furnishings every 5 years. 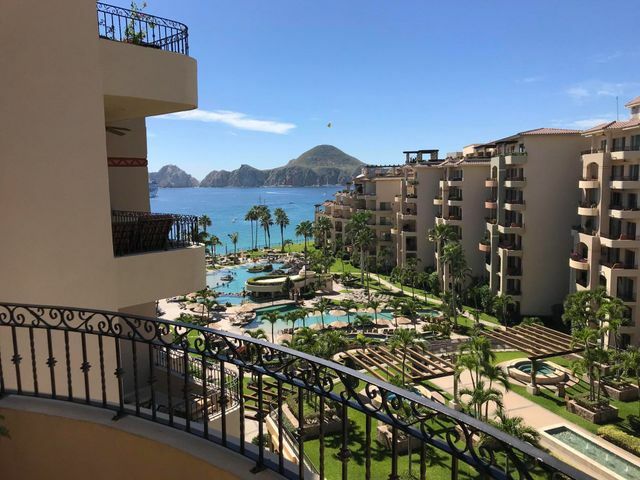 Enjoy amazing ocean views and 5-star resort amenities with this 1/8 Share Villa at Villa La Estancia and make great returns when you’re not able to use it!